Hello everyone! 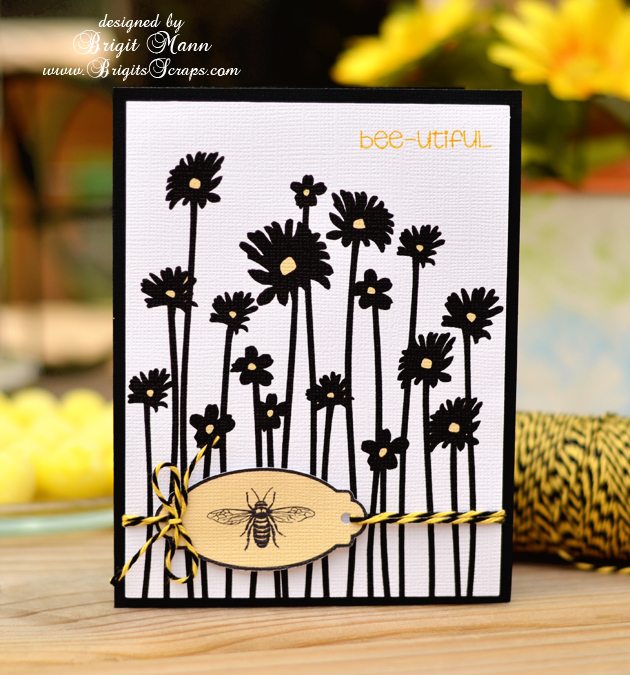 Today, I have a quick card for you using our twine of the month, Bumblebee. I just love this color combination :) The challenge may be over, but you can still get this fabulous twine! I've had this cute light bulb die from My Creative Time that I haven't used, so I thought it would be perfect to go with Bumblebee. So I just made a small layer for the top since I wanted to keep a bit more simple. That way I could highlight the twine a bit better! Now, you NEED to be here tomorrow--we are having an awesome new release that you don't want to miss! 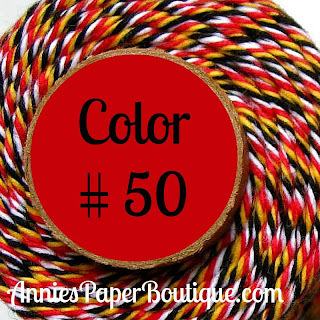 We have had the best time coming up with some fun projects to showcase Trendy Twine #50--Celebration. Stop by and join the Twine It Up! Facebook group--it's a fun place to share! 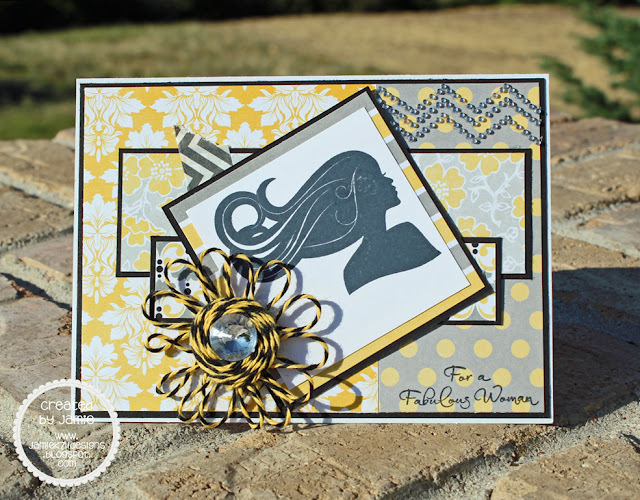 This is such a gorgeous twist of Lemon Tart twisted with black! Here is what I did. I started out with a piece of black cardstock and using some white embossing powder and the new Hexy Background stamp from MCT, I embossed only the bottom half of my card. 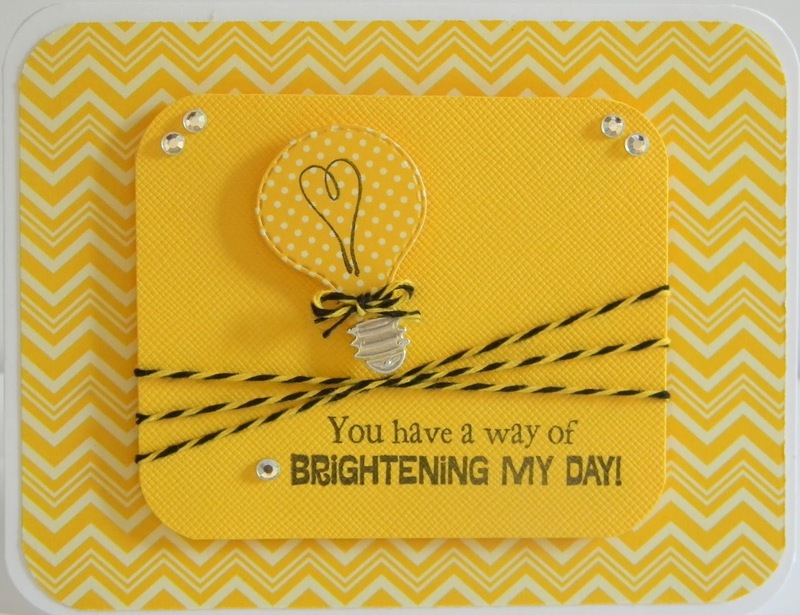 Once the embossing was all set, I pulled out some Sunshine paint and splattered the paint onto my card. The fun part about using the paint splatters is, wherever the paint lands....was what made the design unique. 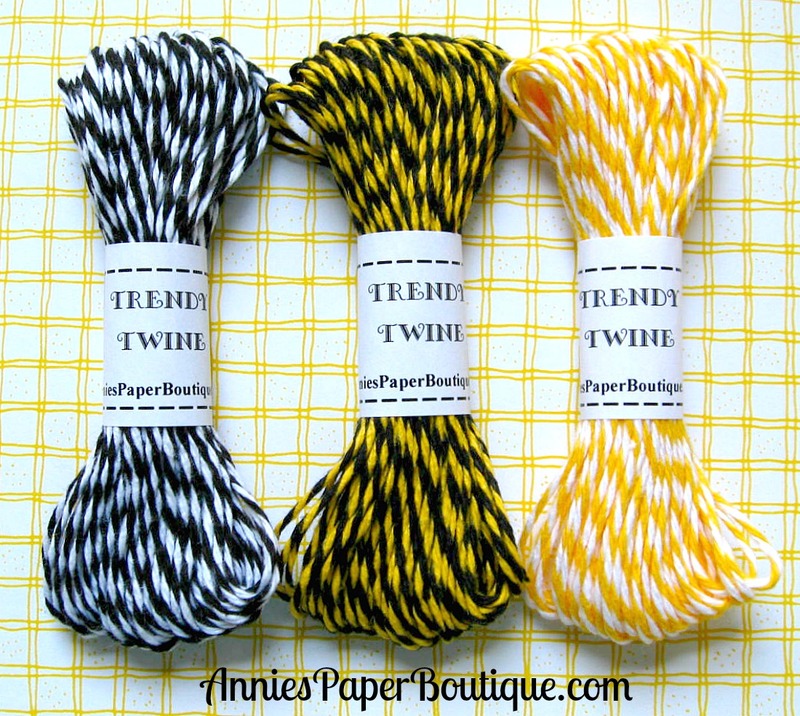 Before popping up my sentiment, I tied my Bumblebee Trendy Twine in a bow and knotted the ends. Well I sure hope you have enjoyed my project! Make sure to check out the Bumblebee Trendy Twine along with these other awesome colors. 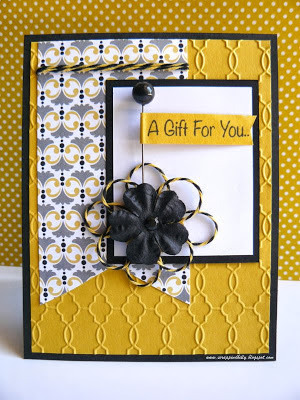 Hi everyone Brigit here from Brigit's Scraps with another cute project using the Bumblebee Trendy Twine. 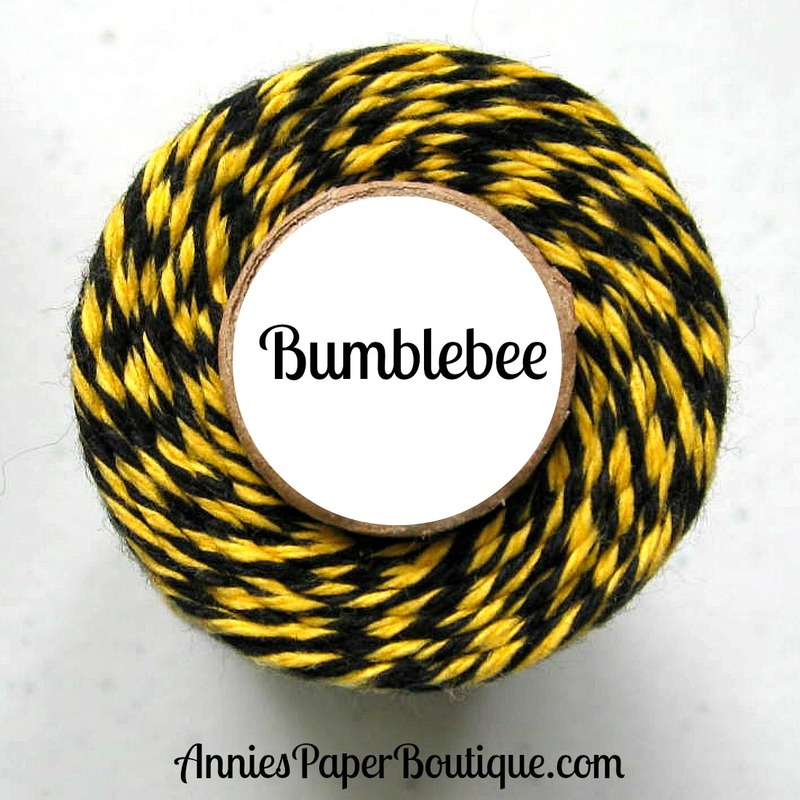 I was so excited about this twine color combo, with so many bumblebee cutting files out there it's definitely a spool to have on hand! 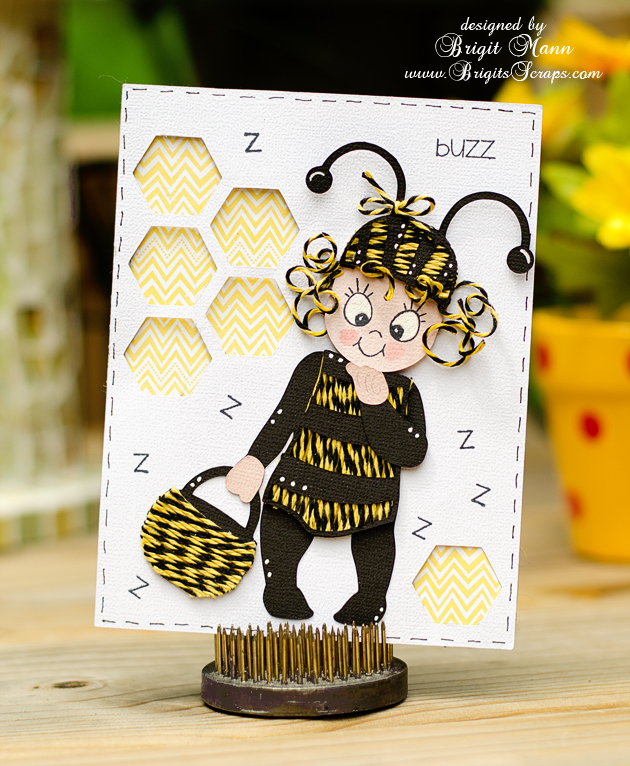 The cute bumblebee girl is from the Silhouette Online Store, I just glued the twine over the yellow cut pieces and assembled. For her hair I rolled the twine in some white glue and wrapped it around a thin paintbrush, pulled it off and let dry. 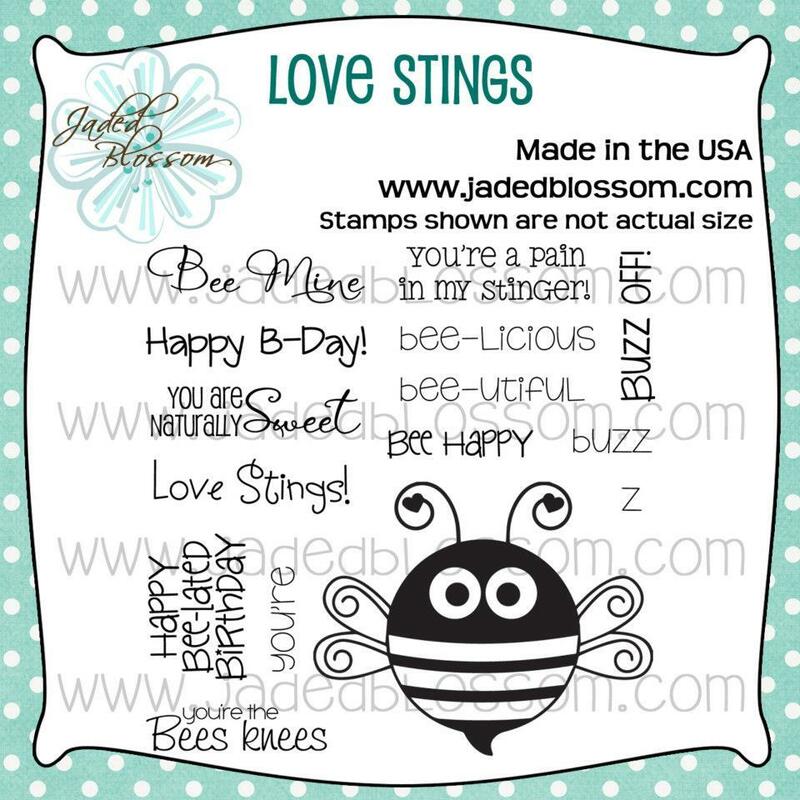 The buzz and z's are from Jaded Blossom's Love Stings stamp set, so perfect with this bumblebee twine and the cute face stamp is from Peachy Keen. August is going to be an awesome month, 9 new colors coming by the 10th including #50 Celebration Yay!! Thanks for stopping by and I hope you enjoyed my project! I used my twine to add some detail and texture to my background paper and I think it was the perfect touch! 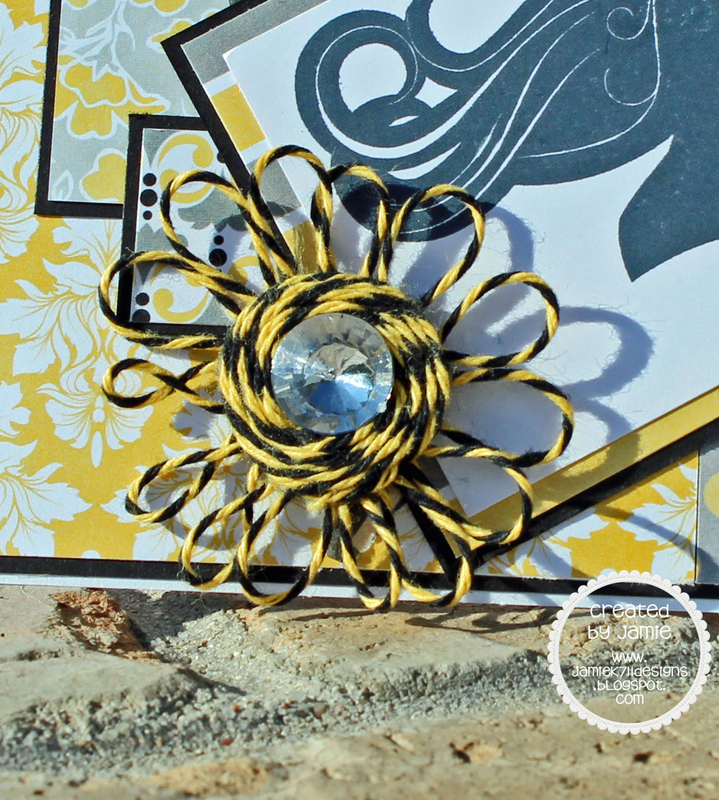 All I did to create this look was cut some strips of Bumblebee twine long enough to stretch across my card, add some adhesive (strip of ATG tape) down the back sides of my background paper and then added my twine. I used a die from My Creative Time for my banner, a sentiment from Pink By Design and my Batman SVG/background paper came from Pretty Paper, Pretty Ribbons. I hope you were inspired by my card today! Make sure to link up your projects to this month's challenge: Sting Like A Bee! Details HERE! Here is my inspiration following the challenge...I hope you like it!! 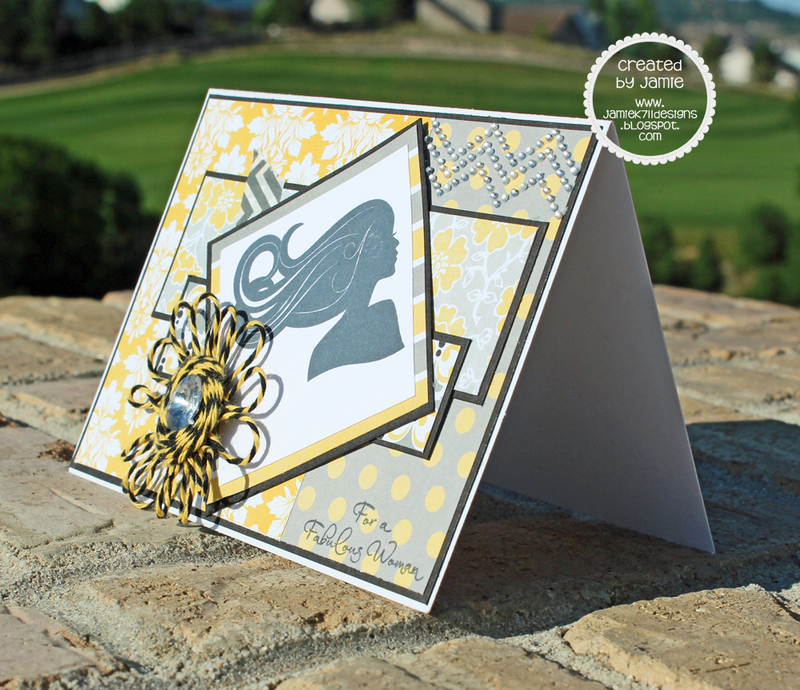 I love using digital stamps and Bugaboo Stamps makes my all time favorite ones. So for my card I used one of my favorite characters~ Ava Fairy and turned her into a bumblebee. I colored her using my copic markers and then added some stickles to her wings and on her dress. 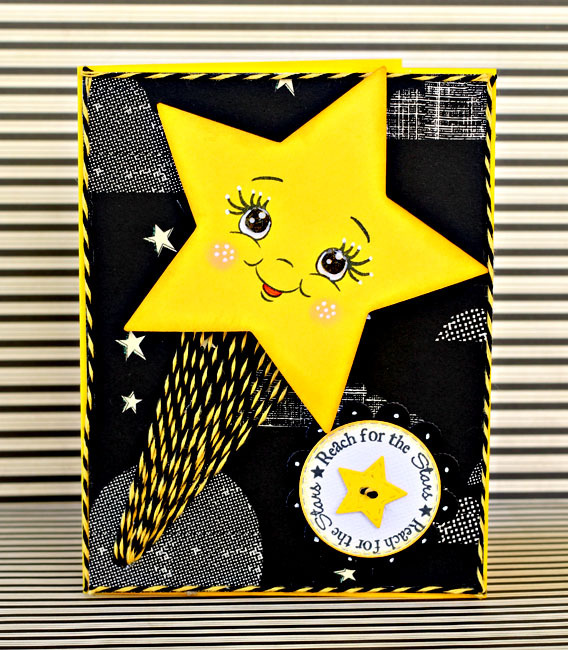 After cutting the circle shapes from my Silhouette, attaching Ava to the die cut and stamping the cute sentiment from Joy's Life Stamps, that layer was ready to be added to my card base. 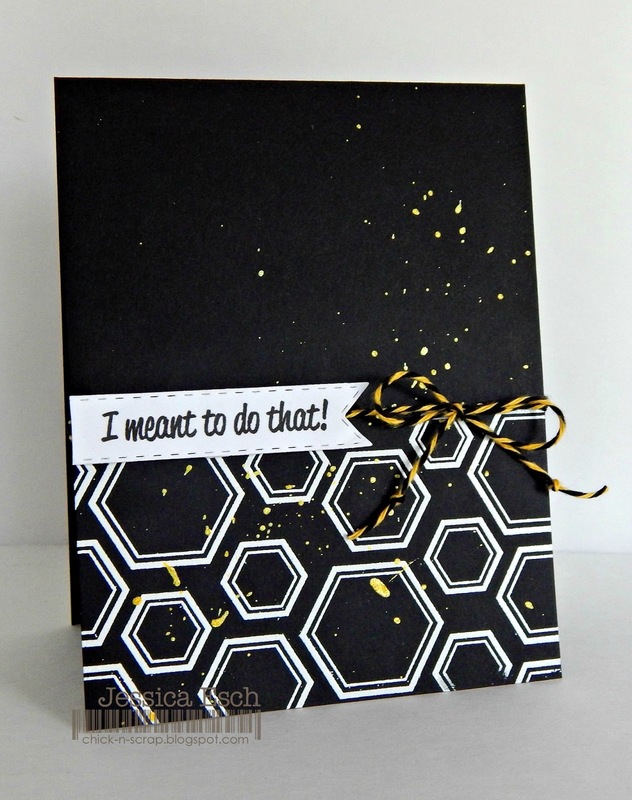 I used black card stock as my card base and layered the white and the adorable Simple Stories Honeycomb designer paper next. But before attaching it to my base, I ran it through my sewing machine and then tied some of the Bumblebee Trendy Twine into a bow. This color is such a GREAT addition to your Trendy Twine color collection. And even though I shared a project using the current challenge, this color can be used for so much more!! Jamie here to share another project with the new Bumblebee Twine! 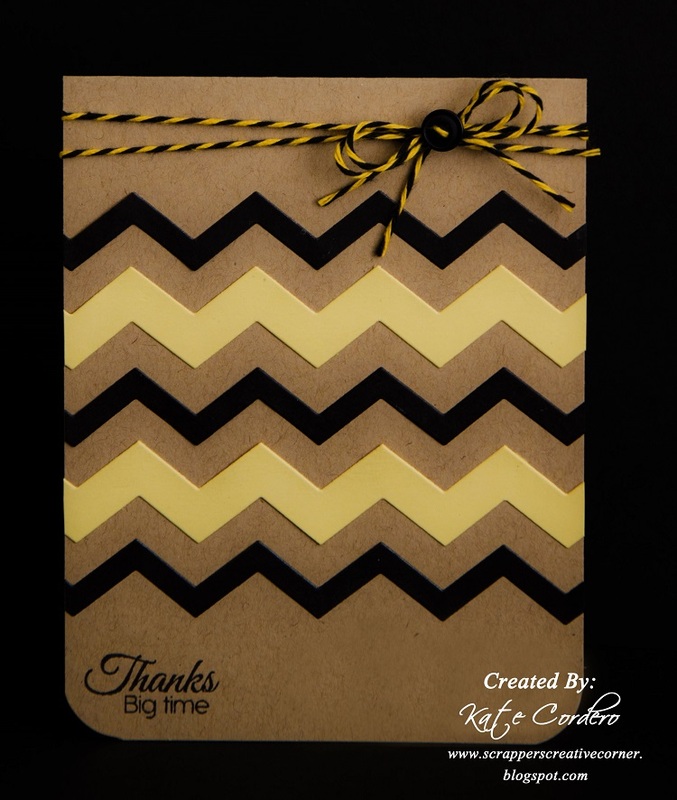 I made a "fabulous" card with the black, grey, white and yellow combo. I layered a few different patterned papers and stamped a Jaded Blossom image on the top along with a sentiment in the corner. 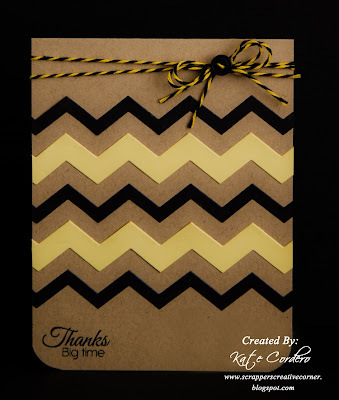 I had to add a little chevron bling and washi tape to the card as well. And then off course the Bumblebee Twine flower. I used a 1" glue dot to make the center and then add the petals and rhinestone center. Don't forget to join us in the challenge HERE. 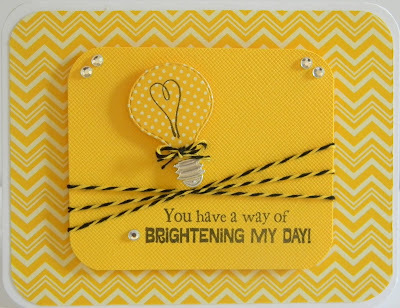 Hello, Sukie here for my design day and I have a card to share. To create my card, I embossed the background with the Modern Wallpaper Cricut embossing folder and added a large hand cut flag. I wrapped the top of the flag with Bumblebee Trendy Twine. Next I created a frame by using white and black card stock. The flower was placed in the corner of the frame. The paper flower was embellished with loops of twine to create a twine flower. 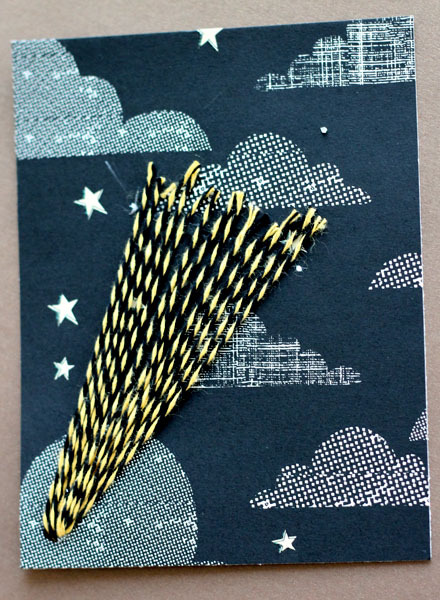 I added a stick pin with a sentiment from Docerela stamps to finish off my card. Stop by the store to check out this new twine color featured for the month of July! We also have a fun challenge going on this month, check it out here. Thanks for stopping by and have a great day! 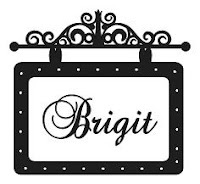 Hi everyone, Brigit here from Brigit's Scraps with my very first post as a new member of the Trendy Twine design team!! 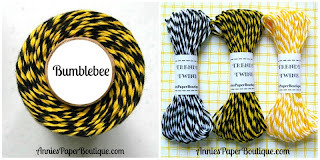 I'm having so much fun making projects with the new Bumblebee Trendy Twine, just love the Lemon Tart and Black combo! 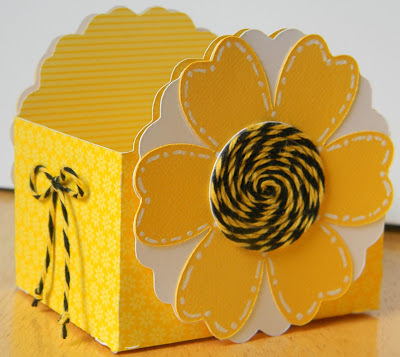 Here's my project using the challenge recipe, a card and treat bag topper. I think the color combination looks so classy and the Bumblebee twine just pulls the whole project altogether. 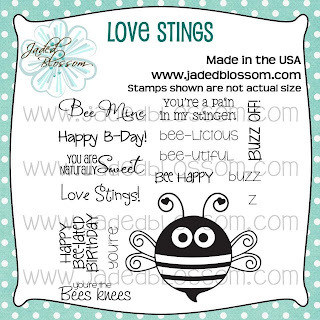 The cute bee-utiful sentiment is from Jaded Blossom's Love Stings stamp set, goes perfectly with the Bumblebee twine. 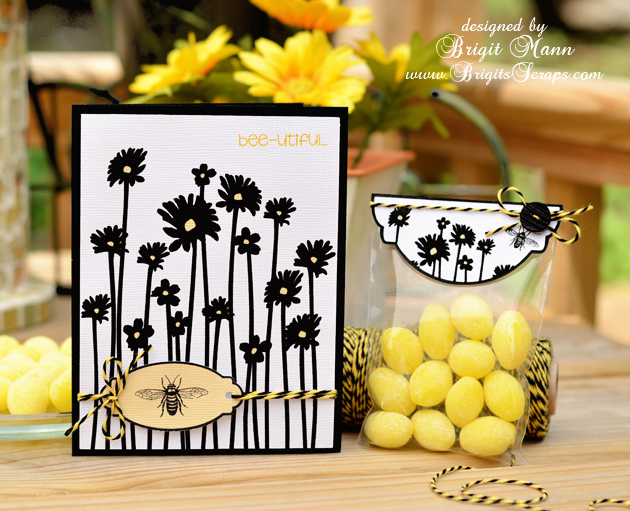 Flowers and bee label are from the Silhouette Online Store, I did a print n cut on both the card front and label. I used the same bee label to create the bag topper, just folded it in half and added the same flowers and bee from the card. Thanks for stopping by, I hope you enjoyed my project, can't wait to see what you all submit for the challenge!!! 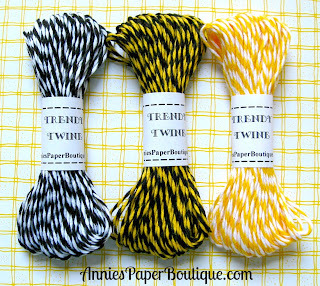 Don't forget to check out the Store for this months Specials and all the wonderful Trendy Twine colors!! Happy Tuesday, Trendy Twiners! It's Jessi here from Kissin' Krafts! Have you seen the newest Trendy Twine Monthly Challenge, yet? If not check out the details HERE! Are you lovin' the newest color to the Trendy Twine family? Bumblebee is AWESOME! Are you looking for some more Trendy Twine inspiration? We would love for you to join our FACEBOOK group, Twine It Up. While you are there, LIKE us on Facebook! Thank you for stopping by today! We hope that you will join our monthly challenge! Hi everyone! 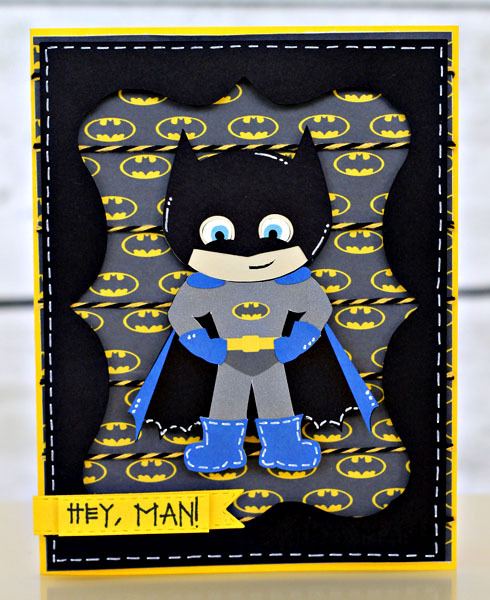 Helen here from HTB Creations. Isn't the new Bumblebee Trendy Twine the best?! I am having the best time playing with it. Today, I have some quick treat boxes to show you. The boxes came from the Sweet Treats Cricut Cartridge. They are so quick to put together! So I took a bit more time to decorate. 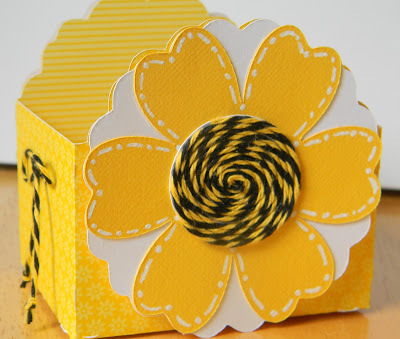 I swirled my Bumblebee Twine on the circles that go in the middle of the flowers. This time, I started from the outside and worked in. I did pop dot the flowers onto the box and finished it off with bows on the sides. There are holes there, probably to make a handle, but I thought the bows would be better. I wanted to put some coordinated candy in the boxes, but forgot to pick something up! You get to see the double-sided paper this way though. Deadline is 11:59 central time, Friday, July 26th. Project must be new for the challenge. a tremendous job with creating projects and spotlighting our new color. If you haven't purchased it, you need to do so. 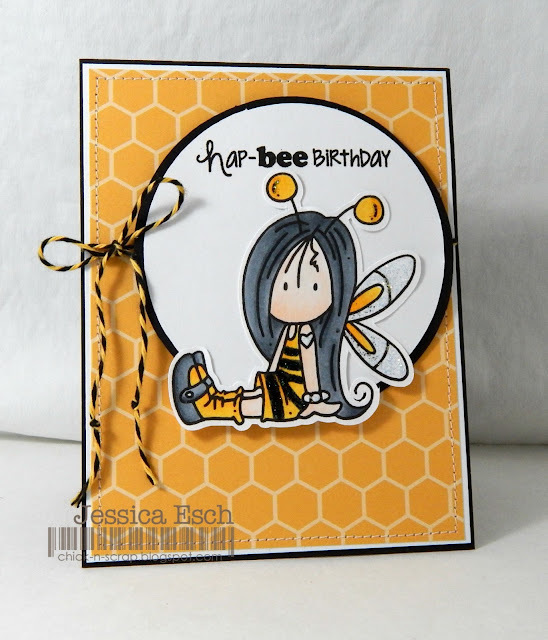 It is an amazing set with all kinds of cute sentiments and that bee is darling. Congrats to you, Lee-Ann! And thanks to everyone for playing along. or message us through the Trendy Twine Facebook page. This month only, we have a Bumblebee Mini Pack available in the store. Be sure to include all items for the challenge, mention the challenge in your post, and only entry, please. Hello Everyone, Kate here for you today and I decided to make a CAS Card. Also don't forget to join the Trendy Twine Group in Facebook, this is where we announce our NEW Colors that are coming soon! Hello Trendy Twine fans, today I have a double page 12x12 layout to share featuring this months newly released Bumblebee twine. I created a pinwheel garden for my layout and embellished the stick with some twine. The pinwheels were finished off with a pearl sticker in the center. The photo mats were double matted and embellished in the corners with coordinating card stock. A small hand cut flag with a sentiment from Docerela Creations was added to the layout and embellished with a bit of twine. I added some buttons to small scalloped circles and placed them along the pinwheels. The scalloped circles were created using a punch. 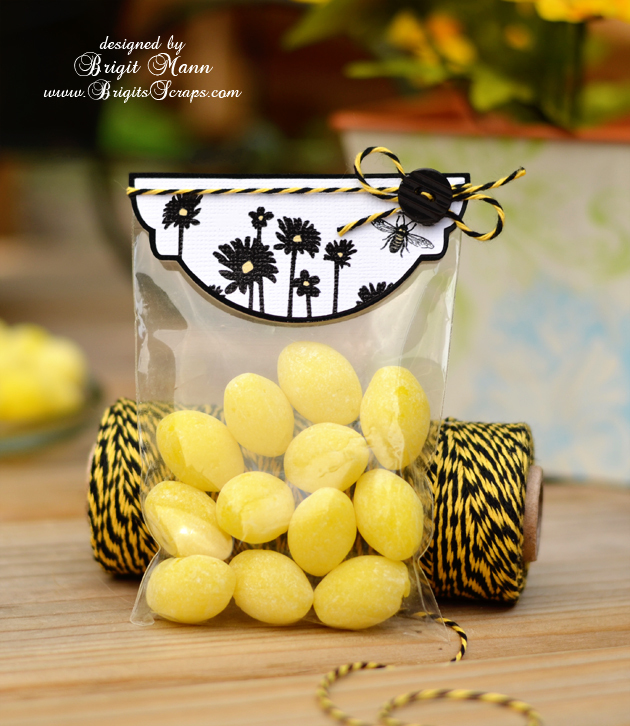 I used Black Licorice Trendy Twine for the center of the buttons and then tied bows with the Bumblebee twine as an accent. My layout was finished off with a banner made from hand cut flags and embellished with some twine. The title was cut twice from the Hello Kitty cartridge. I added foam dots to the title for added dimension. 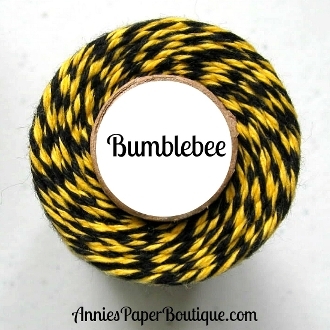 Bumblebee twine is now available in the store. 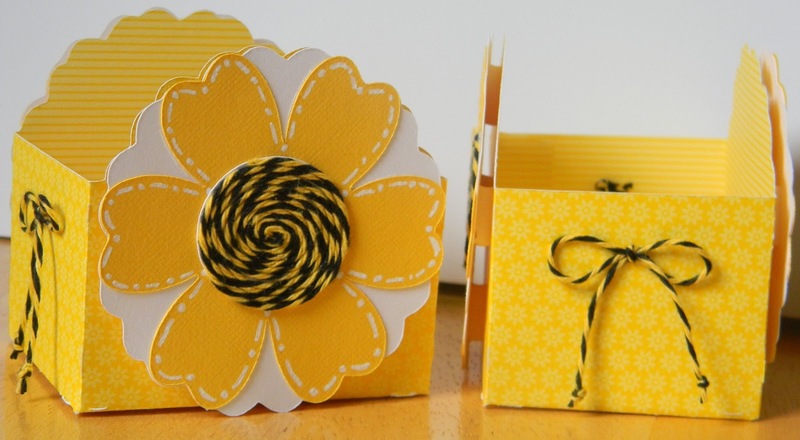 There is also a fun little mini set to try out different coordinating colors. You can also stop by my blog to see this layout. Thanks for stopping by and have a great day! Hey crafty friends!!! Candace here, from Scrappin' 2 Little Princesses!! It's my very first post on the Trendy Twine blog!! I was a guest designer earlier this year and I'm so happy to say that I now a permanent member!! If you're curious, the little face on my star is from Peachy Keen, my 'Reach for the stars' sentiment is from My Creative Time and my paper is from an old Fall Recollections stack. Hope you were inspired!! Thanks for stopping by today! !